Dr. Heilala and the Iron Dog Rec Class riders of team 77 and 52 are on their way to Nome, AK. The Iron Dog Recreational Class is not a competitive race, but is equally as tough and rewarding. 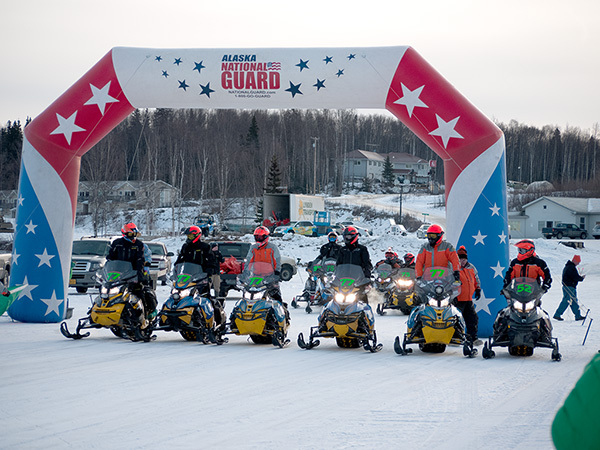 Recreational Class riders follow the Historic and Scenic Iditarod Trail from Big Lake to Nome. Teams are required to be a minimum of two persons on their own snowmobiles. There are no specific requirements for the brand, CC or type of snowmobile when participating in the Recreational Class. Good luck team 77 and team 52!